What is the purpose of the Propylene Containers? 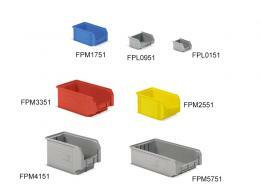 The propylene containers are designed to help someone organize their belongings, both large and small. The larger containers can hold files and the bin even has a carry bar just in case it needs to be moved in the future. The smaller containers are also good for holding different things like buttons, earrings, and many other smaller items. 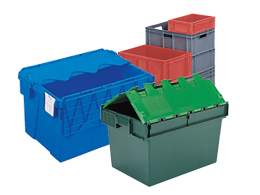 One of the best aspects of these containers is that they can be stacked on top of one another, even if the one below is a larger sized container. The front of the containers is only covered half way so someone can reach inside and grab whatever they need, even if the containers are stacked high. This product can be used in a number of applications, anything from organizing files in an office to organizing trinkets at home. 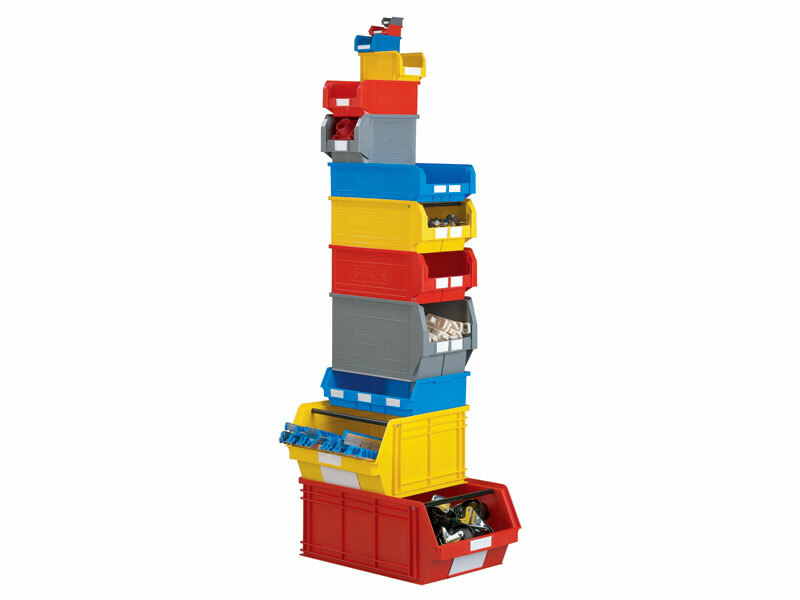 The variety of container sizes makes this product one of the best tools for organizing anything in any place. Many people have stacks of them at home so they can keep their important paperwork safe and organized. This product could also be used in a shop where someone needs to grab smaller accessories on a regular basis. 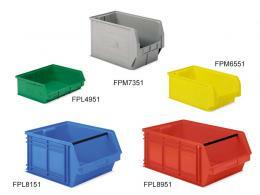 They can colour code their products with the different bins and always know where they are. The propylene containers can also be used anywhere; they do not require a shelf to be useful, because they can be stacked on top of each other. Anybody who is looking to organize their home or office better can make use of this product for a number of reasons. The items stored inside the containers will be kept safe from any moisture damage and the containers are also durable, so they will protect the items inside them. The open fronts make them perfect to stack on top of each other for items that are needed on a regular basis. Reaching inside these bins is simple, because of the angled front. The propylene containers come with a 5 year parts and labour warranty, because they are made to last for long periods of time. They also come in .08, .25, 1, 3.8, 9.4, 12.5, 19, 20, 28, 42, 63, and 88 Litre volumes, so someone can store anything they are looking to keep safe, no matter how big the items are. Because they are made of propylene, they are not susceptible to water damage.